We are delighted to launch this year’s festival with Festival Patron Sarah Perry, Sunday Times’ Number One Bestselling author. 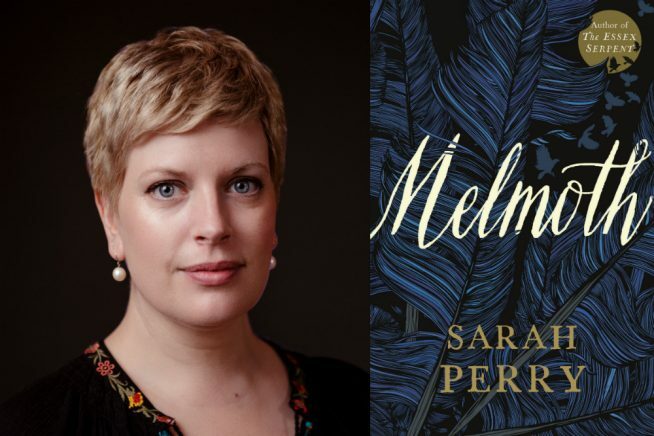 After the success of The Essex Serpent, Sarah will talk about her new novel Melmoth, hailed as a masterpiece of moral complexity, which asks profound questions about mercy, redemption, and how to make the best of our conflicted world. Sarah Perry was born in Essex in 1979 and now lives in Norwich. She has a PhD in creative writing from Royal Holloway and has been a writer-in-residence at the Gladstone Library. From January-February 2016 she was the UNESCO World City of Literature Writer in Residence in Prague. Her first novel, After Me Comes the Flood, was longlisted for the Guardian First Book Award and the Folio Prize, and won the East Anglian Book of the Year Award in 2014. Her second novel, The Essex Serpent, was published in 2016 and has sold over 500,000 copies in the UK alone. It has been published in over twenty territories. The Essex Serpent was nominated for numerous awards. It won the BAMB Reader Award for Beautiful Book 2016, was shortlisted for the Costa Book Award for Best Novel 2017, the Encore Award 2017, the International Dylan Thomas Prize 2017 and was longlisted for the Wellcome Book Prize 2017, the Walter Scott Prize for Historical Fiction 2017 and the Baileys Women’s Prize for Fiction 2017. It was Waterstones Book of the Year 2016 and won the overall Book of the Year Award at the British Book Awards in 2017. The Ivor Crewe Lecture Hall is fully accessible for wheelchair users. There is a hearing loop at the venue.